The Mary & Martha Society offers parish women the opportunity to connect with each other and support the parish through our activities and monetary assistance. The principal goals of the Society are to foster a bond of friendship and camaraderie among its members and help meet the needs of our parish and school. In 1854, several ladies of the Ss. Peter and Paul Congregation organized the Mary and Martha Society. This action was based on their realization that there were many opportunities in their midst for the dispensation of charity. The mission of this Society was to offer charitable work among the poor. Each member paid an initiation fee of 10 cents and monthly dues of 5 cents. Meetings were held on the first Wednesday of each month at 2 p.m. The time was devoted to sewing, piecing quilts, quilting, fancy work, etc. The proceeds of these efforts were used for charitable purposes. Having few calls for charity, it was decided on January 14, 1906, that the funds of the Society be used hereafter in paying for the services of a janitor for the school, and support of the parish school has been one of the chief objectives ever since. The Society meets monthly to plan activities and enjoy fellowship, interesting speakers from within the parish and community, and refreshments. Meetings are held on the third Tuesday of the month in the Mary Anne Gibbs Room in school beginning at 7 p.m.
We do not hold meetings in June and July. The Society is for all women of the parish, and there are no membership dues or fees. Interested ladies are invited to attend our monthly meetings. We post a reminder about each meeting in the parish bulletin preceding the meeting date. 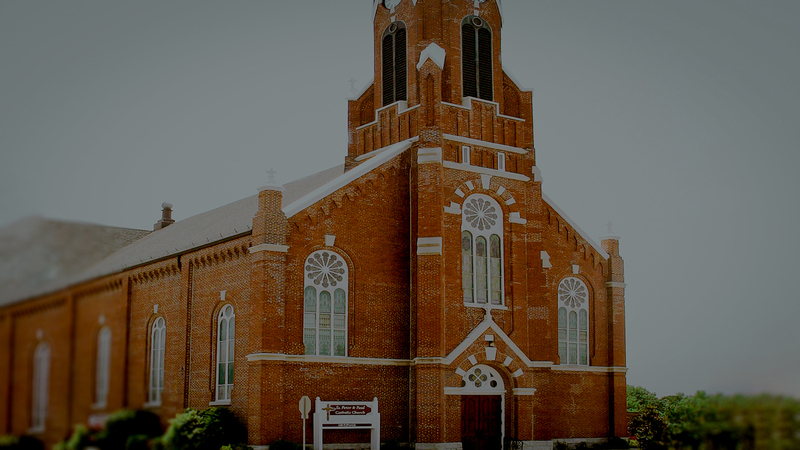 Members support the parish through various endeavors such as: furnishing quilts for the Wurstmarkt, picnic, and raffles; holding an annual rummage sale in the summer and a Cookie Walk in December; staffing a booth at the picnic in June; selling quilt raffle tickets throughout the year in the local community; and providing hospitality when called upon by the parish. The Society also provides funds for scholarships, parish and school improvement projects, pro-life activities, and other parish or school needs. In October, the Society sponsors a “baby shower” for the parish to benefit Life Network of Southern Illinois, the local pregnancy resource center. 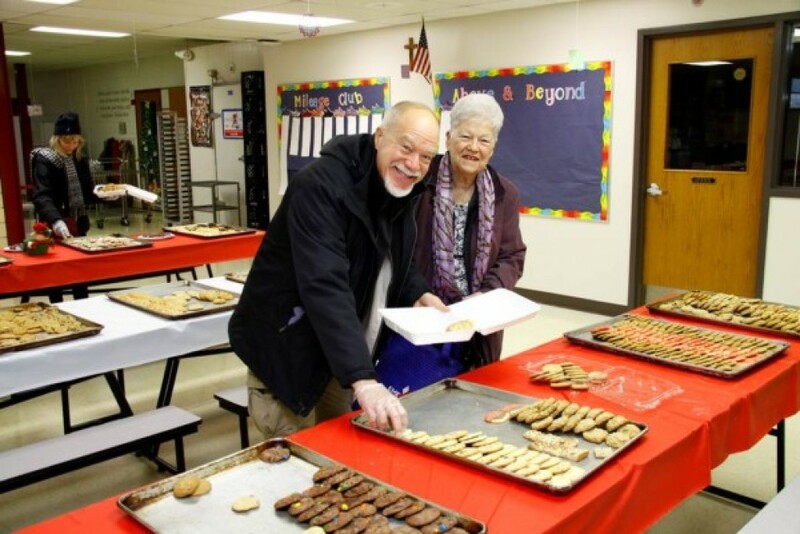 An annual Christmas party is held for all Mary and Martha members. This is a time for fellowship and fun, including a visit from Santa, gift exchange, and musical entertainment. Members draw names for “prayer angels” at the party. For the next year, each member prays for the person whose name she drew. In May, a pizza party is held for all members to celebrate the conclusion of a year of fellowship and activities. The Society is a part of the Metro-East Vicariate of the Belleville Diocesan Council of Catholic Women (BDCDW), which is the official women’s organization of the diocese. The BDCCW’s purpose is to give Catholic women a common voice and an instrument for united action in all issues affecting Catholic principles and religious, moral, and current problems of the day. In the Spring and Fall, the BDCCW Metro-East Vicariate sponsors a Day of Recollection with speakers concerning women’s issues. Members of the Mary and Martha Society are always invited and encouraged to attend the Days of Recollection.